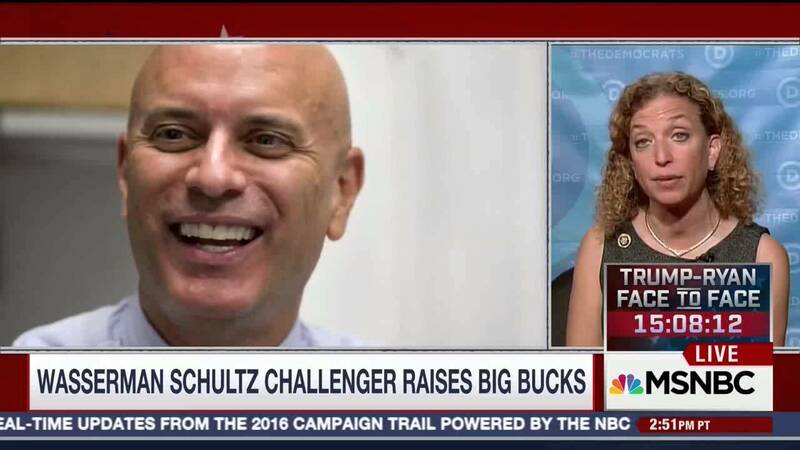 Tim Canova states he is running for Congress because he was tired of seeing congresswoman Debbie Wasserman-Schultz take hundreds of thousands of dollars in contributions from giant corporations and Wall Street banks. Canova has said: Our campaign doesn’t owe anything to any corporate special interests or wealthy elites. We’re accountable to working Americans like you who have made more than 100,000 individual donations to fuel this campaign. Tim Canova is a strong supporter of Bernie Sanders and is focusing on small donations from normal people, rather than large donations from corporations and the wealthy. “I have consistently actively, vocally supported and advanced the causes that help make people’s lives better. And my opponent has done absolutely nothing. He has never been involved in this community. And so it’s very nice to say that you share the same opinion on an issue. There is a difference between putting your body in front of an oncoming train and in making sure that you are standing up, actively engaged on these issues, and saying, ‘Yeah, I’m going to stick up my hand and say me too.’ Big difference. In Florida, leaders of several labor union locals, considered a key Democratic Party constituency, have said they’ve lost confidence in U.S. Rep. Debbie Wasserman-Schultz and want to see her defeated in the August primary. They stated they are supporting, Tim Canova, her challenger, because they believe he would better represent the interests of working people. Union leaders say, Wasserman-Schultz caters too much to the interests of her corporate political donors. Make a contribution of $3 to his campaign and help elect a member of Congress who is not beholden to our rigged campaign finance system. Don’t forget to ‘Like’ The Bern Report on Facebook.